I have been playing this game very frequently for the past week. One thing I noticed was, a lot of the players had divided into clans. Being without a clan, I feel like I'm missing out on a big proportion of the game. That being said I would like to join a clan and if you all could help me find one, that would be a great help. I am currently a level 9, rating is at 1623. No races, although I got the first upgrade. Last edited by Bluethorn on Fri Jul 11, 2014 2:48 pm, edited 2 times in total. Military Soldiers - led by Ryankill, their leadership is made of elite members of the community and they are generally the most present in the game for inter-clan events (friendly wars and tournaments), but they are also the least organized of the major four and least present on the forum community. 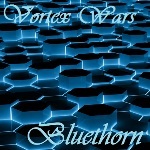 Vortex Warriors Clan - led by BeatlesFan, they have many of the most respected and senior members of our community and are relatively evenly split across a number of criteria for a 'good clan'. However, they have the highest number by far of multiclan members and have been on a recent decline in activity. Warrior's Creed - led by a triumvirate of Drone6o3, Ratburntro44, and Vortex_Master (long story how that happened), they are technically the oldest clan under the same name, and their leadership has a great reputation as being among the most respected senior members on the forum. They have the best governance among the clans, but they are also the least active of the big four and have a somewhat recent history of trouble in organization as well. WolfPack - my clan (led by me, although the leadership election results are announced tonight, so that may change in an hour or so), we are the longest continuously running clan and the most active of all the clans among the forum community. We are somewhere in the middle as far as overall game activity goes, at least for inter-clan stuff, and while we are still the largest clan we also have had problems with keeping younger members active in clan activities. Both issues are being worked with and the clan is always improving with our ongoing adjustments to organization. 4 Riders - led by Ozserf, are made up of some the elite players of the community. They are pretty much exclusively high level and high experience, so are most likely unavailable to you at this time. They are also the least active of the eight clans these days. Killer Mantids - led by GivenUDaHimelik (weird name, but not the worst), are probably the most open to new members of all the clans, although that has led to them being looked at as less mature by others (Cedroux7 and JeanCoutu being examples of this). They were once larger, but have been getting progressively less active over the last month or two. 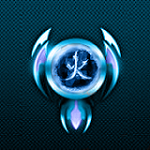 Order of Secrets - led by Unknown, are the secretive clan of the forums. Some are/have been other members of the forum on a second account, but they all maintain anonymity when acting as part of the clan (codenames and whatnot). The original goal was essentially the same as the Wolf’s spy group, to watch over the community and pretend to be secret agents. But since you seem to want to contribute and become known in the community, this may not be your best choice. Phoenix Rising – led by Mattie (after leaving the WolfPack where he was an elite member), this is the newest clan, being only a few days old. As of now, Mattie is the only notable member of the clan and there isn’t much history to go by, but he is relatively well respected among both the forum and game communities as a senior member. If you want to be part of founding something new, you may want to consider them. All in all, each clan has its virtues and bad sides, and there’s really only two that aren’t available to you. I recommend you take a couple of days to look at all the options, maybe read the front page and recent posts of any you’re interested in, before you make a choice. This is really a great community to be part of, it would be great if you stayed around (new faces are always welcome, believe me). If you want, you could post a list of some of what you’re looking for in your clan and I’m sure there’s a lot of people who would be quick to give you advice based on that. And don’t be afraid to ask any questions you may have, none of us have anything better to do if we’re logged on here. If I've given you more than you wanted, just be glad that Fang or Royal didn't get to this first... and expect more info from everyone else. And keep in mind that this is my perspective only. Last edited by Autumnwolf17 on Fri Jul 11, 2014 3:58 am, edited 1 time in total. Thank you, you really save me some time by making a short summary of some of the suggested clans. Currently Vortex Warriors Clan and Wolf Pack seems the most suitable for me, but this may not be my final decision. And an extra kudos to you for being biased and not immediatly try to bring me to your clan. Before this gets locked, I'd like to once again thank Autumn for being the one to give the newbie an intro to the clans. I always enjoy reading what you have to say about everyone. I think it would be a good idea for me to start jumping on opportunities like this before they get eaten... I mean, before they choose to join the Wolfpack as they normally do. All hail JeanCoutu, our new leader. May he never die.